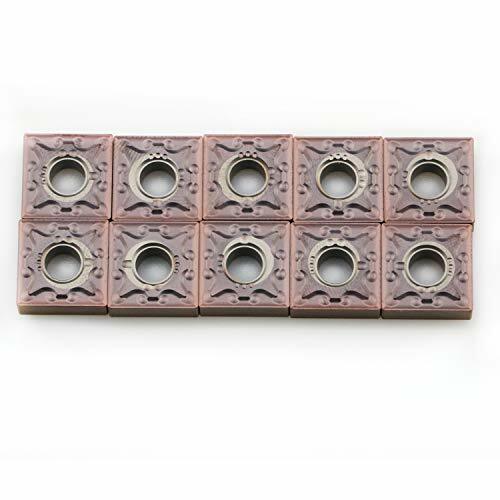 Assortment contains 6 pieces each of: 3/16 , 1/4 , 5/16 , and 3/8 ; and 4 pieces each of: 7/16 and 1/2 . High quality steel material. Zinc plated finish. Sizes are clearly marked on each piece. 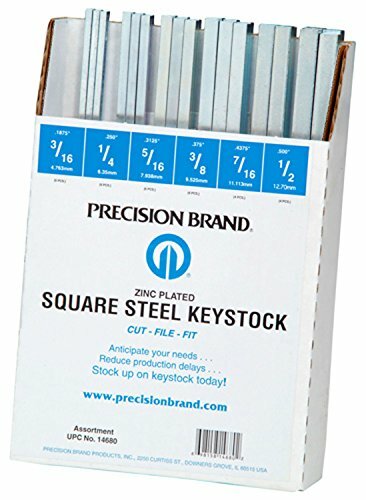 Precision Brand Keystock is used to provide driving torque between shafts and pulleys, gears, sprockets, etc. Used for new machinery, general maintenance, and shop repairs. It is a necessity in all applications where rotating power devices are used. Most tolerances on dimensions are oversized to assure tight fits in keyways for positive, zero backlash power transmission. 0-Degree lead angle for boring and facing. ~ 11 relief. ~ Takes TPGB 21.51 inserts. ~ Shank is 3/8". ~ Minimum bore is .500". ~ Overall length is 6". ~ Screw is M2.5 X 6. ~ Torx wrench is T-8. 0-Degree lead angle for boring and facing. Glanze Carbide Insert CNMG 432 M4 Grade G250. The WIDIA line of micro boring bars provides accurate hole making tooling in diameters as small as .062" (1,57mm). 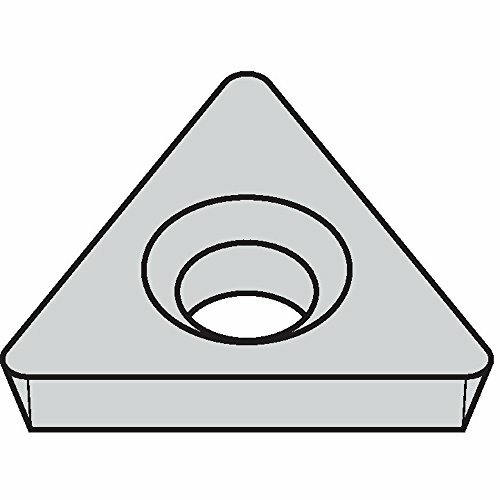 These economical, index able inserts are available with both steel and carbide shank bars. Ideal for a wide range of applications, including precision micro boring. Utilize CCMT 80 degrees diamond inserts. 7 degrees Relief angle. Negative 5 degrees Lead angle for boring. 3 degrees Side & end cutting edge angle. Torx wrench included. CCMT insert included. Application: Profiling bars for semi-finishing and finishing operations. Includes 5/16, 3/8, 1/2, 5/8, & 3/4". Style A, B. C, E, & F.
Utilizes CCMT 80 diamond inserts. CCMT insert included. 7 relief angle. Negative 5 lead angle for boring. 3 side & end cutting edge angle. For profiling bars for semi-finishing and finishing operations. 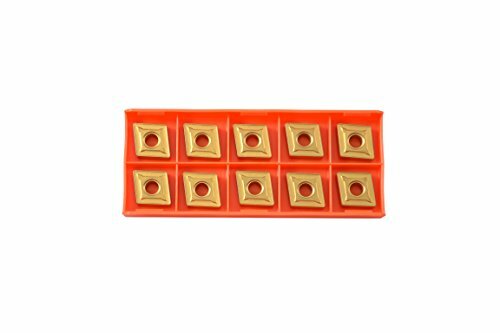 The Carbide inserts which have high abrasion resistance. After special management on the surface of the coating inserts, the internal stress and surface of coating were reduced while cutting resistance was also cut down. Suitable for cutting steel from finish machining, to semi-finish and rough machining. Preferable Level-Excellent resistance to crater wear and plastic deformation resistance.Recommended for stable conditions for steel. Use TCGT or TCMT inserts. 0-Degree lead angle for boring and profiling. Shank is 0.500. Minimum Bore is 0.625. Uses Insert # TCMT-21.51. Screw size is M2.5 X 6. The MICRO 100 ITL-3201250 Left hand, uncoated, solid carbidesingle point internal threading tool. Designed and engineered with a single point that produces a thread on a cone or cylinder. 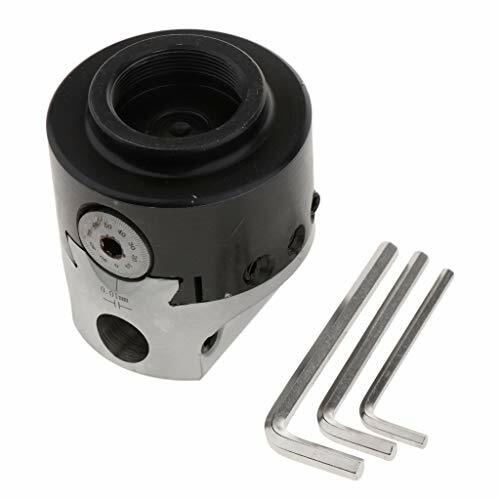 Widely used in CNC lathes and engine type lathes because the single point process tracks the spindle and tool position. Chips are removed from the work piece with each pass of the tool as it linearly moves across the part. Each tool's cutting edge/tip has a distinctive mirror like finish that significantly adds to material removal while improving surface finishes. 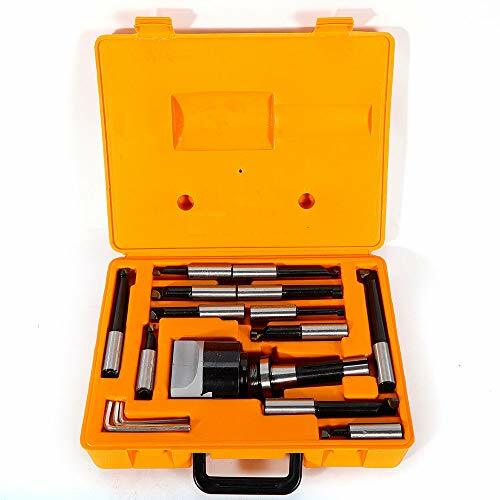 Ideal for threading in small diameters. MICRO 100 Solid Carbide Tools feature more than just a micro-grain of excellent quality. Their substrate is in a class of its own resulting from exclusive treating processes that allow for vastly increased speed and feed rates. For over 45 years, MICRO 100 is a known industry leader and internationally acclaimed when it comes to solid carbide tooling. 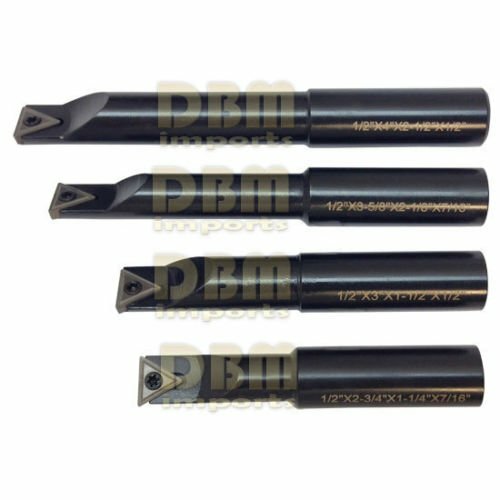 THINBIT 5 Pack MBZIZ02D5U MBZ Series, 0.002" Radius, Flat top, Uncoated carbide boring insert for non-ferrous alloys, aluminium, plastic without interrupted cuts. Buy direct from THINBIT. 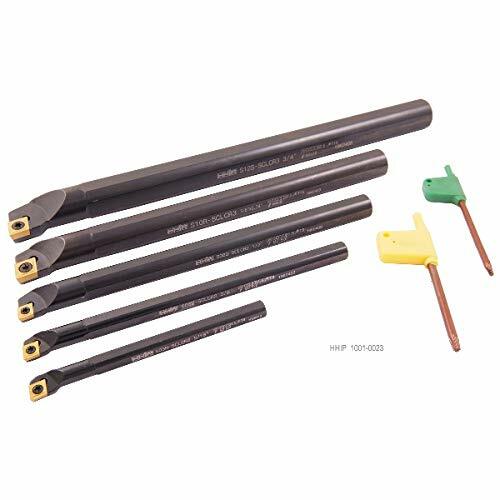 MINI-BORE 5 Pack MBZIZ02D5U boring inserts are designed to use with 'MBZ' Series boring bars only. The insert is Uncoated and has a Flat top. The insert is a .140" I.C. Diamond with 2 cutting edges and .002" corner radii. DURA-MAX 5000 carbide is a hard, abrasion resistant, sub-micron grain carbide with excellent edge and corner retention. This grade is recommended for cutting abrasive materials, non-ferrous alloys, aluminium, plastic and applications without an interrupted cut. Kaiser Tool Company, Inc. makes all products in Fort Wayne, Indiana and has over 50 years producing THINBIT products. Our principles are Quality Products, Fast Delivery and Superior Customer Service. Please Note: Final shipping costs will be calculated at checkout based on value of all THINBIT items ordered. THINBIT, MINI-BORE and DURA-MAX are registered trademarks exclusively licensed to Kaiser Tool Company, Inc. in the U.S. and/or other countries. See Downloads section below item photos for detailed product information, technical information and compatible boring bars. 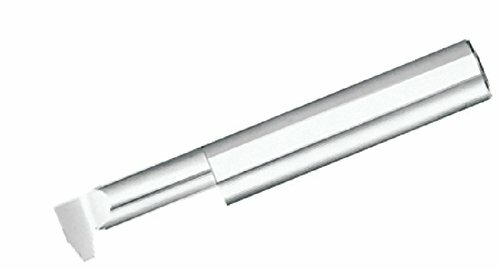 .002 Radius, 2 Cutting edges, Flat top, .140 I.C. Diamond insert. 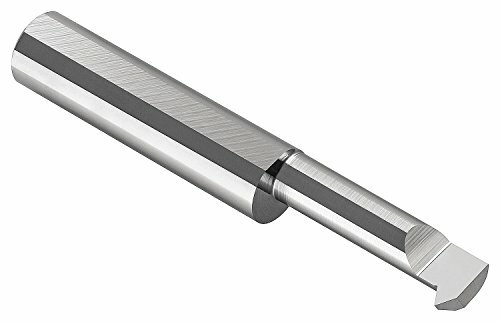 Brand: MINI-BORE | Manufacturer: Kaiser Tool Company, Inc.
THINBIT 5 Pack MBZIZ15D5U MBZ Series, 0.015" Radius, Flat top, Uncoated carbide boring insert for non-ferrous alloys, aluminium, plastic without interrupted cuts. Buy direct from THINBIT. 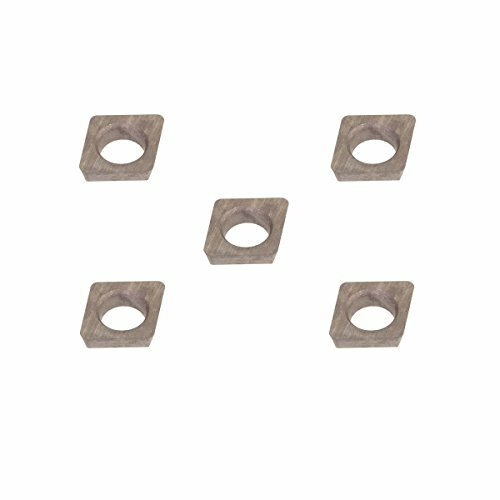 MINI-BORE 5 Pack MBZIZ15D5U boring inserts are designed to use with 'MBZ' Series boring bars only. The insert is Uncoated and has a Flat top. The insert is a .140" I.C. Diamond with 2 cutting edges and .015" corner radii. DURA-MAX 5000 carbide is a hard, abrasion resistant, sub-micron grain carbide with excellent edge and corner retention. This grade is recommended for cutting abrasive materials, non-ferrous alloys, aluminium, plastic and applications without an interrupted cut. Kaiser Tool Company, Inc. makes all products in Fort Wayne, Indiana and has over 50 years producing THINBIT products. Our principles are Quality Products, Fast Delivery and Superior Customer Service. Please Note: Final shipping costs will be calculated at checkout based on value of all THINBIT items ordered. THINBIT, MINI-BORE and DURA-MAX are registered trademarks exclusively licensed to Kaiser Tool Company, Inc. in the U.S. and/or other countries. .015 Radius, 2 Cutting edges, Flat top, .140 I.C. 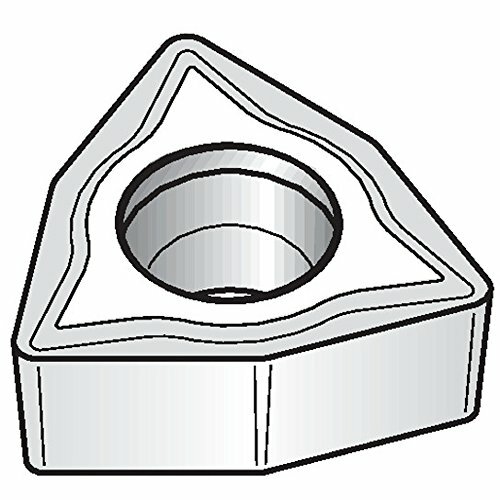 Diamond insert. Negative 5 degree lead angle. Takes one CNMG-432 insert #6000-6832. 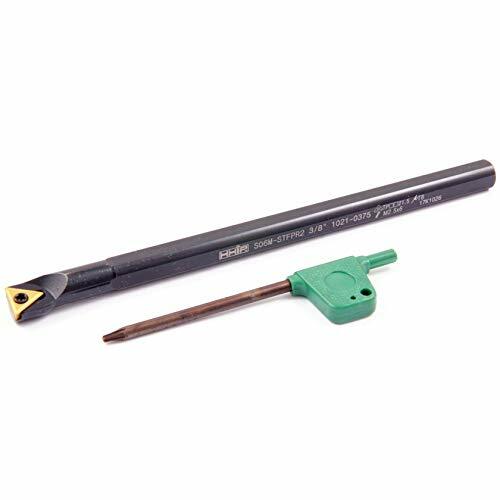 The MICRO 100 IAT-1000-12 uncoated solid carbide, internal ACME internal threading tool. Designed and engineered for ACME profiles in internal threading applications. Each tool's cutting edge/tip has a distinctive mirror like finish that significantly adds to material removal while improving surface finishes. MICRO 100 Solid Carbide Tools feature more than just a micro-grain of excellent quality. Their substrate is in a class of its own resulting from exclusive treating processes that allow for vastly increased speed and feed rates. For over 45 years, MICRO 100 is a known industry leader and internationally acclaimed when it comes to solid carbide tooling. Applicable from low to high speed cutting and from finishing to rough machining. 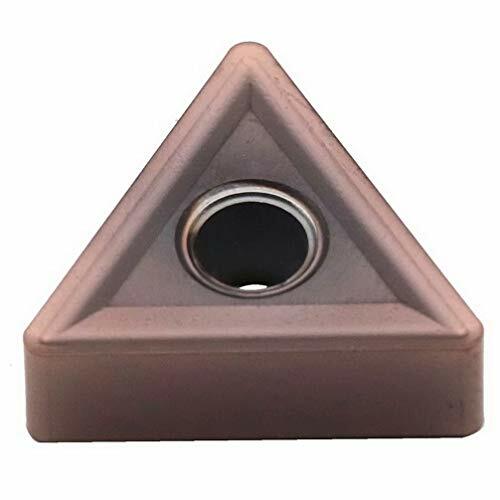 Smooth fine surface of PVD coated carbide provides good surface finish and high. Cermet maintains good surface finished due to the low affinity to material. Suitable for cutting non-ferrous metals and non-metals. Applicable for non-ferrous metals, non-metals turning milling and other various type of cutting . Quality Guarantee - If you have any questions with the product, please contact us in the first time. We will give you the best solution. Brand: Maifix | Manufacturer: Mingze Hardware Co., Ltd.
- The boring head can be fine-tuned and durable. - It can be machined with boring, boring end face, cylindrical shape, stepped hole, etc. 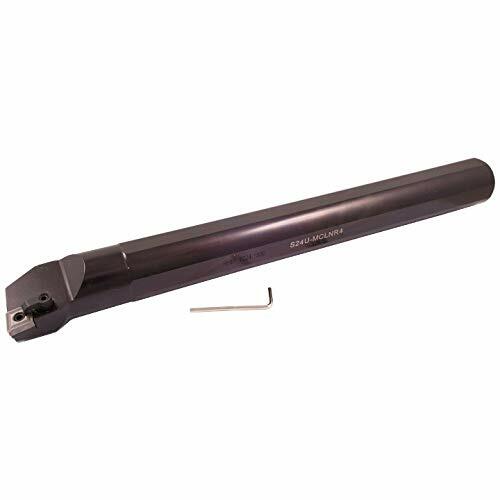 - Made of high quality high carbon steel with high strength and high hardness. - Fine process, precision up to 0.01 mm, suitable for milling machines, machining centers. - 1 Piece adjustable boring head 70x75x80mm. Please allow 0-3mm error due to hand test.Thank you. * 1 Piece adjustable boring head 70x75x80mm. * Fine process, precision up to 0.01 mm, suitable for milling machines, machining centers. * Made of high quality high carbon steel with high strength and high hardness. * The boring head can be fine-tuned and durable. * It can be machined with boring, boring end face, cylindrical shape, stepped hole, etc. 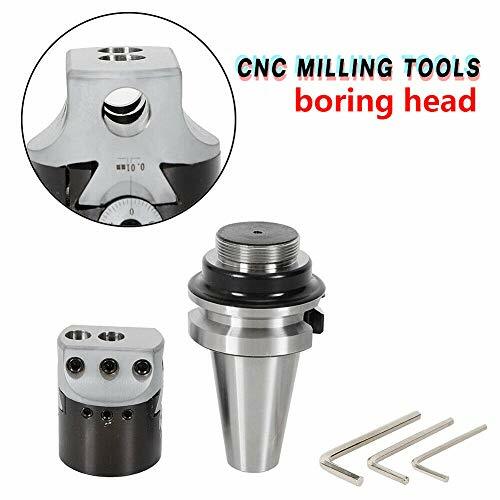 Boring Head Height: 63mm /2-7/16"
Max offset: 16mm / 5/8"
Boring Head Dia: 50mm / 2"
The product is the main annex of boring and CNC milling machine tools like coordinate boring machine,horizontal boring machine, ordinary boring. It can be used to boring, boring cylindrical, boring shallow groove, boring step hole, boring hole end face,cut the inside hole and ring groove on the external and other processing. 3" Boring Head,High speed steel. Rough boring heads R8 ,Diameter:75mm,Height:80mm. Round boring cutters:Diameter of Boring heads:75mm/3,Boring Capacity:12-255mm.